I see topics in the forum about page not loading correctly, but not about Cornerstone not working altogether. I went over the settings multiple times, but I'm assuming I'm overlooking something. For additional resources, I suggest that you bookmark our knowledge base overview page as you may find great information regarding the Cornerstone usage. Yes. I've used X before in the past, but this is different. The overview does not cover this issue. None of my content on any of my pages are visible or even there. I've deactivated all of the plugins except Cornerstone and woocommerce. Let us know how this goes!. And you have to admit, Cornerstone is a way better page builder than Beaver Builder or any other builder so I'd love to get this issue fix asap. I previously installed an old Themeco Theme "Fitnesspro" before purchasing X.. I deleted the theme but as you can see from the tab, the old Fitnesspro icon is still showing on the tab. Could the fact that absolutely no content showing on my website be left over Fitnesspro code corrupting X some how? That's a filterable index where you need to configure your filters first. 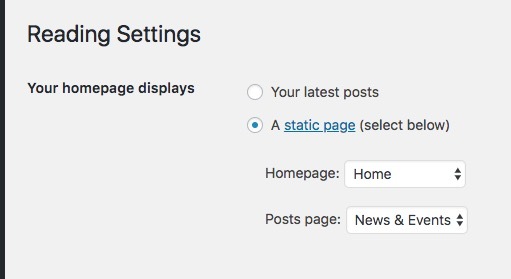 Please go to Admin > Post > Categories and note some of the category ID (as your filter), then go to Theme Options > Ethos > BLOG OPTIONS > CATEGORY IDS and add the IDs separated by comma (deleting the existing IDs). If your intention is just to display the posts without filters, then you can disable the Filterable Index feature on the same section where you add the IDs. No, absolutely none of my website's content is showing. The goal has nothing to do with the post or category, it's to fix why X isn't popularly content. Every other theme works, but not X. Do you have any other plugin running? It seems that the content were removed. Would you mind providing us access to your site so that we can take a closer look? Please post the following in a secure note. No, the problem is that the only demo I want to use Ethos 1 does not work. I was testing some of the other demos, which work, but Ethos 1 (again, the only one I cared to use) does NOT. It seems that the issue was resolved already. I am guessing that nothing is displayed because you do not have any post yet. As soon as you installed the demo, the contents displayed. I was just about to post that update. Switch to Ethos 1 and see for yourself. That is why I thought X did not work altogether. I did not try the other demos because I purchased X for Ethos 1. Which does not work properly, which is why I requested a refund. When you switched to Ethos 1 demo, the "Filterable Index" option in Theme Options > Ethos > BLOG OPTIONS will automatically gets enabled. You will need to disable this so that the post items will display. You will also need to disable the Post Sliders. I went ahead and switch the stack to Ethos. I adjusted the necessary options and there it is. The post items are now displaying on the page. Yes, it seems to be working now. The product thumbnail in the store is not displaying properly, but everything else looks like it works. I am curious, why the "Windcrest" deal is at the bottom just above the footer. If I was a conspiracy theorist, I'd you say one used the expanded Educational demo (that worked) and added some code to make it look like Ethos. But I'm not a conspiracy theorist, so I'll look around some more to see what pops up. 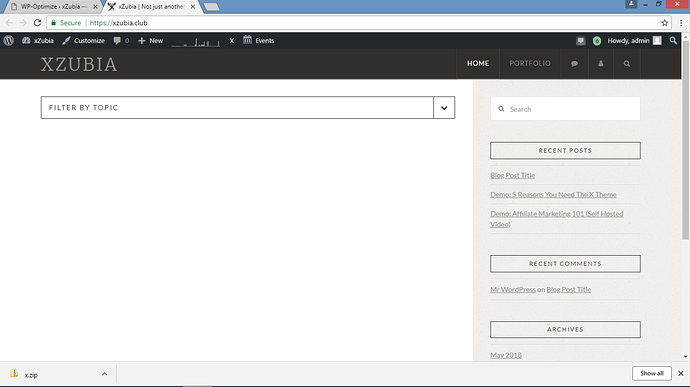 That is what you have added before and it is set as the Footer. It seems that you had a website before and now try to add some stuff to it. If this is a problem you either need to have a new installation to avoid the stuff you added before. Now regarding the footer you will need to go to Appearance > Widgets and search for the Footer 1 or 2 or 3 or 4 widget areas and there you will find a Text widget which contains an Image code which is the one you are talking about. You can simply remove the widget if you do not want that to show.